Burlington, Ont. 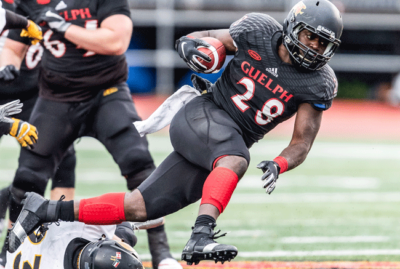 – The future looks bright for several schools when looking at their emerging talent, and Ontario University Athletics (OUA) is pleased to recognize all of the first-year phenoms that have earned spots on the 2018 all-rookie team, including an impressive six from the Guelph Gryphons. The Gryphons have seen contributions from several players on both sides of the ball and it is not just their veterans who have stepped up this season. Among the rookies who have jumped into a top role is one who has seen his biggest contributions help get the team to the postseason. 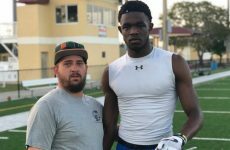 RB Jean-Paul Cimankinda (Ottawa, Ont.) has dominated the run game over the final stretch of the year, finishing with back-to-back 100+ yard games for the Gryphons, along with a pair of touchdowns. He finished the year second on the squad in rushing with 296 yards and three majors. Checking in right behind his backfield mate in team rushing was Juwan Jeffrey (Brampton, Ont. ), who has parlayed his 278 yards and one touchdown into an all-rookie nod as well. Making a difference in the special teams department, meanwhile, was Kiondre Smith (Toronto, Ont. ), who took back 16 kick returns for 403 yards – an average of over 25 per return. Smith also added 401 yards in the punt return game, including one for a touchdown, which ultimately led him to the team-lead in all-purpose yards. On defence, Brendan Murphy (Chateauguay, Que.) has fit in like a glove with the elite Gryphons defence and is being recognized as an all-rookie because of it. He came up just shy of 30 tackles, with nearly four per game including several of the hard-hitting variety, while also adding three sacks, an interception, and five pass break-ups. Another four sacks from Tavius Robinson (Guelph, Ont.) have earned him a spot alongside Murphy, while Uriel Kalenga (Gatineau, Que.) cracks the roster as well. In addition to the Gryphons’ standout defenders are a number of additional preventers of points, including Waterloo’s Jack Hinsperger (Waterloo, Ont.). The hometown linebacker, who missed the final two games of the season, looked right at home in his first foyer into OUA football. The freshman picked up 27.5 tackles, including 5.5 for a loss, with 2.5 sacks, and a fumble recovery in his debut campaign. Checking in ranked sixth on the black and gold in tackles was Daeshaun Jupiter-Deane (Pickering, Ont. ), whose 24 takedowns and three pass break-ups garner him all-rookie attention as well. The final member of the Warriors crew, also on the defensive end, earning first-year recognition is DB Andy Melo (Georgetown, Ont.). A pair of offensive linemen for the Gee-Gees have protected their place on the all-rookie squad, as Nick Sine (North Augusta, Ont.) and Zachary Pelehos (Gananoque, Ont.) each receive the first-year recognition. Joining the powerful pair is Jaden Lattamore (London, Ont. ), who played in seven games for Ottawa this season and forced one fumble during that span. 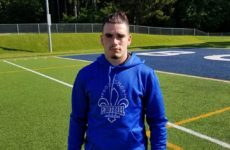 Ottawa’s counterpart in the nation’s capital, the Carleton Ravens, see one of their players earn all-rookie status, as first-year black bird Louis Cavanagh (Laval, Que. ), who played in all eight games, started off his OUA career with 11.5 tackles to his name. 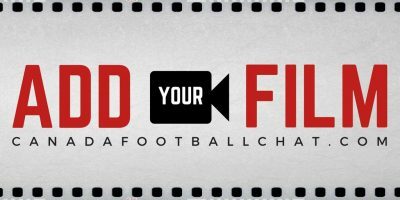 Matching the Warriors and Gee-Gees in selections is the York Lions, as three players of their own are starting off strong in their quest to establish York as the king of the OUA football jungle. Matt Dean (Ajax, Ont.) 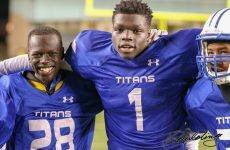 was one Lions’ freshman who suited up for all eight games, making the most of his time on the field with 11 tackles, one sack, and a pass break-up. He also managed to force and recover a fumble. Dean is joined by OL Caleb Palmateer (Nepean, Ont. ), who stood tall on the offensive line for the Lions, alongside Kwadwo Boahen (Calgary, Alta. ), who in seven games this season, was involved in nine tackles and was credited with half a sack. Adding to their already booming bunch of talent are a pair of Mustangs that, if their rookie seasons are any indication, should play key roles for Western for the foreseeable future. Zack Fry (London, Ont.) 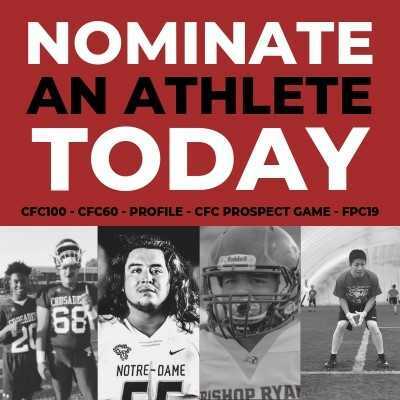 started every game for the purple ponies, checking in as one of the top Mustangs lineman on the year; even allowing the team to move an All-Canadian off-tackle to the guard position as a result of his effective and consistent play. Spencer Nichols (London, Ont.) was Western’s other top-performing freshman, reeling in seven catches on the year. In what was a young crop of defenders joining McMaster this year, two of their incoming class of Marauders shone brightest and have earned all-rookie nods as a result. LB Eryk Bujalski (Winnipeg, Man.) finished fifth on the team in tackles with 28, a tally that included three for a loss of a combined six yards. He also added a forced and recovered fumble to his rookie resume in what was a strong year for the Marauders defence. Joining him is fellow first-year Dawlson Bourdages (Hamilton, Ont. ), a defensive lineman that picked up 11.5 tackles and a sack in eight games of action. For Queen’s, their rookie standout comes on the other side of the ball, as one of the team’s pleasant surprises in their top-tier offence was the play of rookie Rasheed Tucker (Toronto, Ont. ), Proving to be a dual-threat out of the backfield, Tucker rushed for 135 yards on 36 carries (3.8 YPC) and hauled in seven catches for 79 yards as well. He also punched in two touchdowns on the year, capping off a season that saw him put his fingerprints all over the Gaels’ 2018 production. 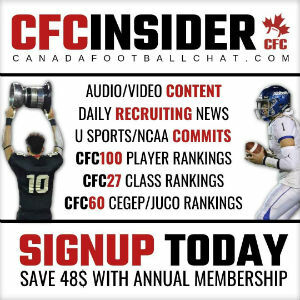 Windsor’s most successful freshman – Cole Verlinde (Tottenham, Ont.) – stood tall at the cornerback position, meanwhile, starting all eight games for the Lancers in his first year of OUA action. In addition to his 15.5 tackles, which included 13 solo efforts, Verlinde also broke up two passes, with one coming via an interception. Rounding out the talented rookie roster are two of the up-and-coming linemen in the league. Tyler Eckert (Burnaby, B.C.) and his 13.5 tackles – including two for a loss – from the Golden Hawks earns Laurier’s lone selection. DL Jackson Mayer (London, Ont. ), meanwhile, who won the long snapper job out of training camp and started four games on the Toronto Varsity Blues defensive line before suffering a season ending injury, has also been named to this year’s all-rookie team.